Either big or small, your removal requires the right technical expertise and set of practical skills. 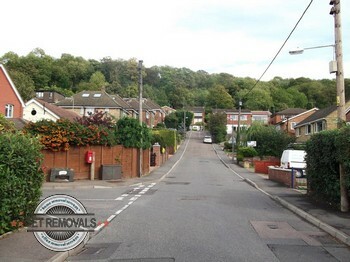 Professional removals in Biggin Hill are our field of expertise and we have what it takes to organise and complete your relocation successfully. Don’t take our word for it though, but put us to the test and we will excel in every aspect. There will be no risk of damage or misplacement of items in our care as all stages of the removal are carried out by teams of specially qualified movers and experienced drivers. Safe and efficient transportation is made possible by maintaining a fleet of specially equipped cargo vehicles of different size and payload capacity. All of our vans undergo regular technical inspections, and are fitted with hoisting and latching equipment required for heavy lifting. Vehicles are cleaned thoroughly after every job, and have properly working satellite navigation. Our selection of professional removal services is indeed the most efficient and sensible way to conduct your relocation, no matter how basic or elaborate. For extra peace of mind we have full liability insurance. All stages of the removal will be coordinated by our call centre. We maintain helpful and punctual round the clock customer support, seven days a week. Our professional removals in Biggin Hill give you flexibility and versatility – you can be sure that we have the right service for your personal and budget requirements. 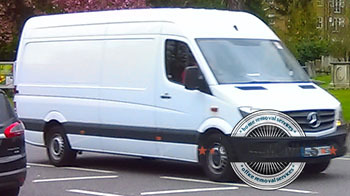 We are just as efficient and professional in domestic removals, office removals, also end to end business removals. Specialised service options like furniture removal, professional packing or delivery of packing materials are also on the menu. In case you have to dispose of old junk and rubbish on your way out – our efficient waste collection solutions are just what you need. If you are looking for something to do while we do the heavy lifting you can learn a thing or two about the Biggin Hill area. The suburb is pretty much on the border of London and Surrey but there is a good reason for this, as Biggin Hill Military Airport and RAF base were the main tenants in the district and open space is what such facilities need. The airport and base have been somewhat dismantled and replaced by business parks and other modern structures, but certain parts of the base, like the Grade II listed chapel still remain. There is an operational airport in Biggin Hill right now, but it is privately used. The most notable non-RAF related structure in the area is the so called moving church, designed by Richard Gilbert Scott. Local myth and legend has it that Biggin Hill is quite a haunted place, with many so called ghosts apparently having been seen and known in the area. Some attribute this to the army base presence, though the parallels between the two are unclear.